I, Vang Geu, was born at Ban Hom, Tasseng Phasay, Muang Pha, Xieng Khouang Province, Laos. A former military officer in Military Region II (MR-II), I have served in the French Army during the Indochina War from 1953 to 1954. I have worked as news broadcaster at the Lao National Radio Station in Vientiane, Laos and, during 1960-1964, was an employee of the National Bank of Laos in Vientiane. During 1968-1973, I was involved in the Vietnam War, fighting alongside the United States armed forces. My military assignments included serving successively as battalion commander, brigade commander, and division commander, fighting the enemy that invaded the kingdom of Laos. During 1973-1975, I served as chief of Economic and Development in MR-II, Laos. I graduated from the Dong Dok Teacher’s College in Vientiane with a teaching degree. I then completed a course in a foreign country, studying agriculture, cattle-raising and international development. I completed several military training programs, including national defense and high-ranking officer’s duties. I have also received training in development, cooperation, conflict resolution, management, accounting, and psychology. In 1975, I was forced to leave Laos and had to settle in several countries, including Thailand, France, and the USA, and worked as a leader of Lao refugees for several years. I worked in Northern France in low income housing, helping thousands of French find a place to stay at government-subsidized housing facilities. I also served as president of the Franco-Asiatique Association (1976-1980). In March 1981, I made the decision to resettle in the United States where I reside to this day. I worked at the reception desk at the Minnesota department of agriculture, assisting refugees and teaching them how to grow plants, and worked as program associate-director at the University of Minnesota’s Hospital. 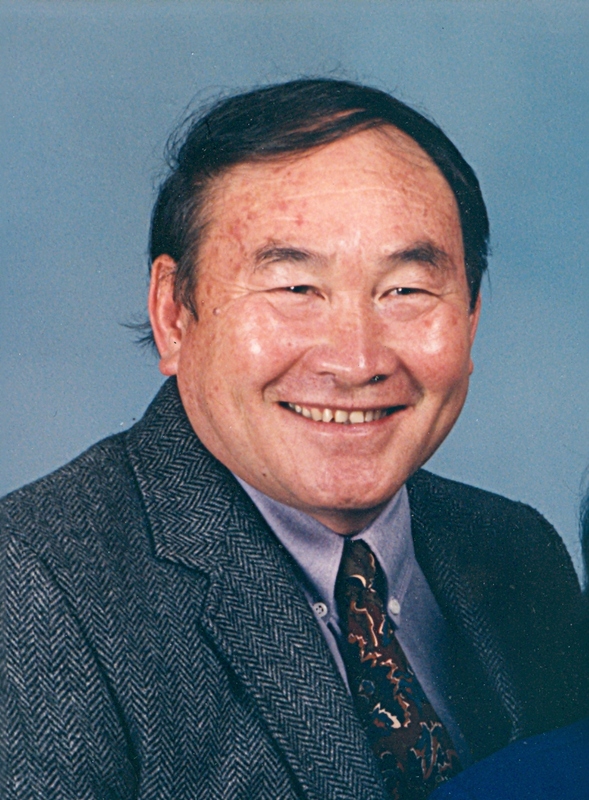 I was president of Lao Family, Inc. in Minnesota during 1982-1987 and, in 1987, decided to lead several thousands of Lao and Lao Hmong refugees in starting a new life in many eastern states, including Georgia, South-Carolina, and North-Carolina. During 1987-2011, I served as President of the Hmong-Lao Assistance Association, and have been working at McRae Industries as liaison officer from 1987 to date. For the past twenty-two years, I have been residing with my wife, MayKao Thao Vang, in Samthong Village, a Southeast Asian American subdivision created in 1988 by the president of McRae Industries. We have six adult children and seven grandchildren who are members of Mt. Gilead First Baptist Church, where I teach a Laotian Sunday School class and serve on the Board of Deacons. On a typical day, I drive people to the Department of Motor Vehicles for driver license test, to the courts, to doctor’s appointments, or to the bank. I can also be found interpreting at the parent-teacher conferences, assisting with immigration issues, talking with employers about their Asian staff, repairing plumbing leakages, preparing income taxes, etc. Catherine T. Hodges (who read, interpreted, and pre-edited the original version of the book at least three times). I owe my greatest thanks to the people listed above, as well as many other folks who lent their helping hands on the side. Without their support, this book would not have been written. I was lucky to be able to collect the information and photos I needed because not many people were able to bring their personal possessions with them when they left Laos, an exit that was fairly sudden for most of us. This book should have been written much earlier, but the general environment did not permit its completion until now. “A number of Hmong … people fought against the communist-nationalist Pathet Lao during the Secret War in Laos. Hmong … people were singled out for retribution when the Pathet Lao took over the Laotian government in 1975, and tens of thousands fled to Thailand seeking political asylum. Thousands of these refugees have resettled in Western countries since the late 1976s, mostly the United States but also Australia, France, French Guiana, and Canada.” [http: // en.wikipedia.org/wiki/Hmong_people]. The author is one of those Hmong fortunate to survive the Secret War in Laos and is perhaps the one person most capable of telling this story. Geu Vang has often compared the exodous of the Hmong and Laotian people to Moses as he led the Israelites out of Egypt. Since I met Geu Vang in 1987, I can say that he has continuously led his people—locally, statewide, and nationwide. I have never known anyone so devoted to helping others as Geu Vang is to the Southeast Asian American community. His compassion, commitment, generosity, sense of unselfishness, and love for his people are all factual evidences that his job is not yet completed. It has been a blessing for me to have the opportunity to work with Geu Vang as he endeavors to help his people to assimilate into the American society. I am humbled as I see the seriousness with which Geu Vang and “his people” take the freedoms guaranteed in the United States Constitution and the traditional American values of family, freedom, God, and country. Working with the Southeast Asian Americans has changed my life and has allowed me to become a much better human being. (Writer’s note: I feel very fortunate to have met with Cathie Hodges, a retired teacher from West Montgomery High School in NC. Ms. Hodges has been instrumental in getting me on the right tract with the early English version of my book, which was originally written in Lao).